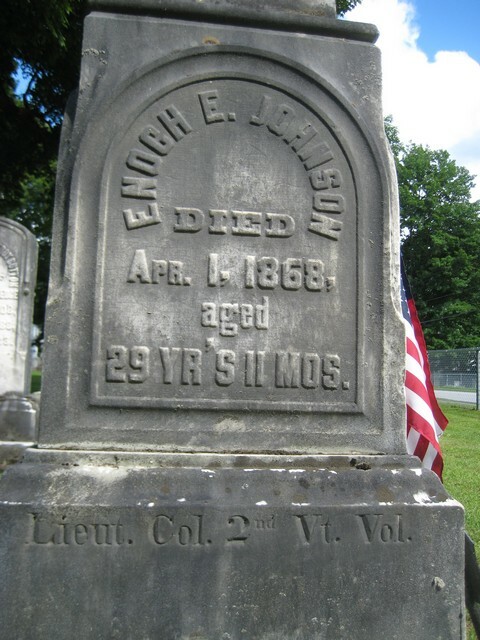 Enoch E. Johnson, formerly the gallant Lieutenant Colonel of the 2d Vt. Vols., died on Wednesday of pneumonia. The deceased was commissioned 2d Lieut. of Co. B, 2d Vt. Reg't., May 16, '61; 1st Lieut., Sept. 2, '61; Captain of Co. D, Jan. 25, '62; Major, June 17, '64; Brevet Lieut. Col., Oct.19, '64, "for gallantry in all the actions since Cold harbor, and especially at Cedar Creek, Oct. 19, '64, " and was mustered out of the service as full Lieut. Colonel, June 7, '65. Col. Johnson is believed to have seen more active service in the field than any other officer from Vermont. 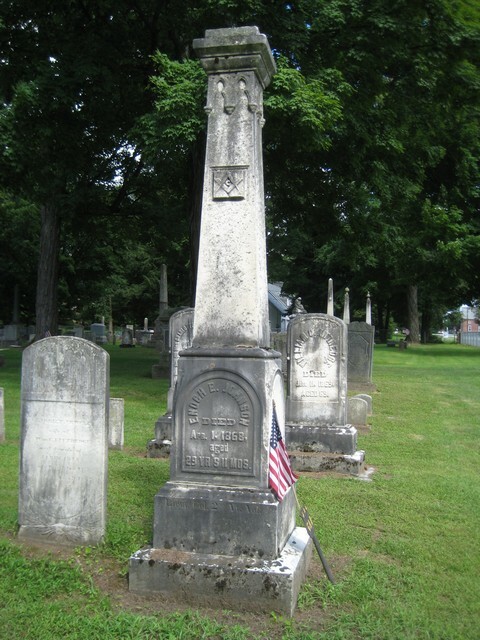 No man will be more generally and singularly mourned by the "soldier boys" of Vermont than will Col. Johnson. He had an agreeable countenance, affable manners and a frank and genial disposition. These qualities of body and mind were further recommended by the knowledge that Col. Johnson was a man of tried and efficient valor in the heat of battle. 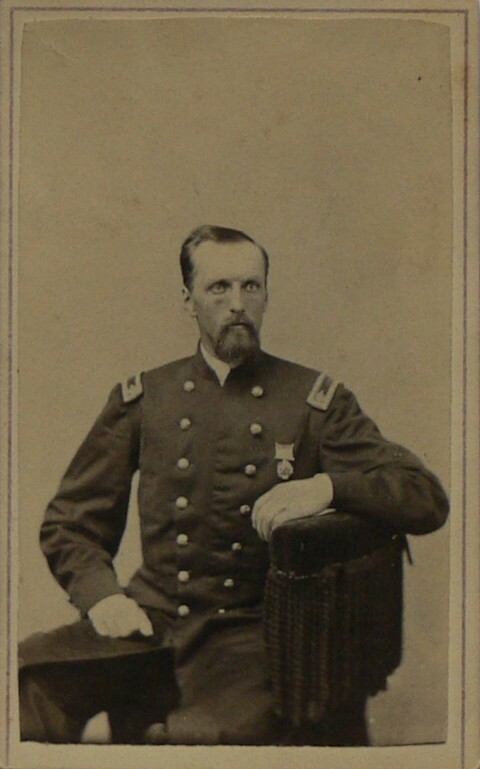 Col. Johnson was at the time of the breaking out of the war a medical student at Castleton, and after the war completed his professional studies.